Safe on third in U13 grand final. 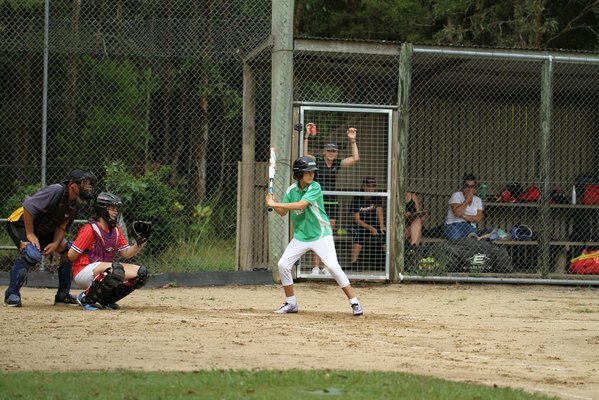 Noosa Softball wrapped up its summer season on Saturday in grand finals for the Under 13s and Under 15s, with the Slammers and Dodgesox teams claiming a trophy each. Most Outstanding Boy: Xander Dundon, Slammers. Most Outstanding Girl: Erin Boardman, Redsox. Coaches’ Award, Boys: Aaron Smith, Dodgers. Coaches’ Award, Girls: Alyssa Mjaskalo, Redsox. Most Outstanding Boy: Coopa Adams, Slammers. Most Outstanding Girl: Sophie Silkman, Dodgers. Coaches’ Award, Boys: Ethan Galland, Slammers. Coaches’ Award, Girls: Rylee Anderson, Dodgers. Little League and Under 10 trophies were awarded to: Most Improved Boy: Tom Groat, Dodgers. Most Improved Girl: Lahrel Fraser, Slammers. Coaches’ Award, Boys: Elliott Kaye, Redsox. Coaches’ Award, Girls: Macey Gale, Redsox. The Association Player of the Year is Shinai Gibbins who was selected in the Australian Under 19 Aussie Spirit Squad to play in the World Cup in the USA in August. The Association Person of the Year is Noosa District Softball Association secretary Sue Flynn. Sue congratulated all trophy winners, players and coaches on a fun season of softball. She also congratulated the Noosa players who were chosen to represent the region and State during the year. 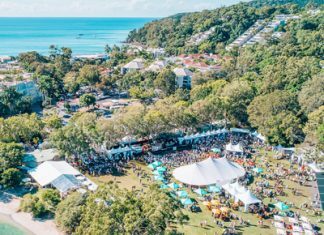 Noosa players chosen for State and national competitions this year are: Dylan Todd and Riley Murrihy – Qld U19 men’s team; Ethan Lewis – Vic U17 team; Shinai Gibbins – Qld U19 and U23 women’s team, and U19 Australian team; Callum Thiess, Qld U17 team, WA U19 men’s team, U17 Australian team reserve; Luke Thomas, Qld U23 men’s squad. Noosa Softball president Richard Wakeham was the head coach of the Qld U15 boys team at the national championships this year. “You will see most of these players down here each day doing practise with Richard, as a lot of hard work goes into being ready for these teams,” Sue said. Noosa will host the State U14 boys championships this weekend (6-8 April), with 10 teams competing: Hervey Bay, Logan City, Mackay/Gladstone/Bundaberg, Redcliffe, Toowoomba, Caboolture/Noosa/Suncoast, Ipswich, Maryborough, Redlands and Rockhampton. 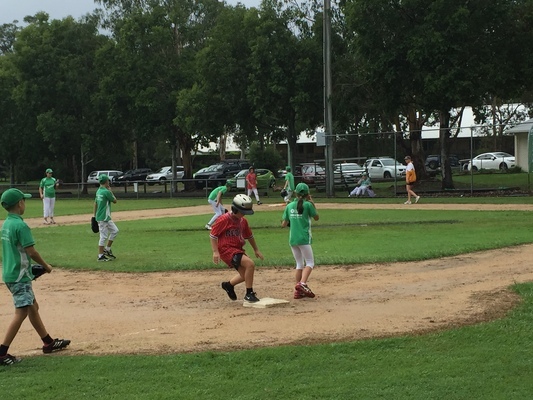 The next season of softball in Noosa will start in term three, with teams for boys and girls from four to 14 years. A senior competition is also played. Come and Try days for juniors will be held before the season starts. Search for Noosa Softball online or find Noosa Softball on Facebook to get in touch.